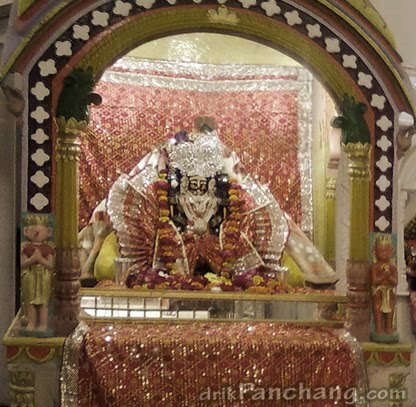 Most tourists and devotees who visit Mathura are not aware that near to Krishna Janmabhumi, there exists old Keshav Dev Mandir which claims to be the most authentic birthplace of Lord Krishna. This temple is very close to newly constructed Janmabhumi temple and comes under Mallapura. This is a respected place of worship among people of Braj. According to historians and local beliefs the legendary Krishna temple at Janmabhumi was demolished by Aurangzeb's order in 1670 C.E. At that time Maratha Sindhiya founded Prachin Keshav Dev Mandir near to historic Potara Kunda. By this record Keshav Dev temple is 342 years old. This temple is unique as it has four-armed Krishna. Next to temple there is the room which is claimed to be birthplace of Lord Krishna and has deities of Vasudeva, Devaki and Krishna. It has the place where umbilical cord of Lord Krishna was hidden in the Earth.